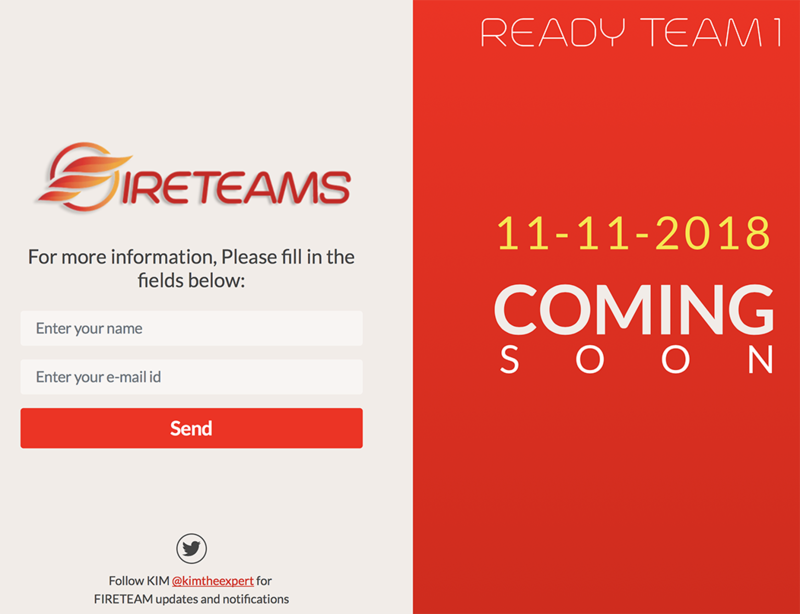 WILSON, N.C., Oct. 10, 2018 /PRNewswire/ -- Today Infusion AI announced FIRETEAMS, a new cloud-based knowledge network community created for the use and purpose of helping professionals own, adapt and market their skills and abilities. "Our knowledge network communities are the basis for our vision to repurpose AI technologies to complement and improve human abilities rather than replace them. People will be able to work with AI much like a teammate and benefit from the tools and acquire knowledge to improve their own skills and abilities," said Jennifer Finberg, CEO, Infusion AI. "Everyone can learn, contribute and benefit from the FIRETEAMS global knowledge-base, and tap into the predictive guidance API to answer questions and solve problems in most any subject area." We must think about AI differently to discover the full potential. We have shaped and adapted to AI in the past, but today we are lacking the complete solution to move through the "Third Wave." AI technologies are transforming at a rapid pace, but still have not mastered the methods to progress us into full AI. This is mainly due to the many challenges of learning in real-time and adapting to changing circumstance, reusing knowledge and most importantly contextual reasoning for understanding. FIRETEAMS will overcome these challenges with knowledge network communities powered by skilled, adaptable and trained teams that work autonomously with KIM, a knowledge integrated machine. The integrated applications and KIM use the shared knowledge, active and past learning outcomes to deliver knowledge services through our SAAS solutions. Our infrastructure is engineered, tested and hosted on Amazon Web Services which provide superb HA capabilities, unlimited storage, unified security and auto scaling. FIRETEAMS are open communities where anyone can join, learn, contribute, and be successful in any technology, vertical, product or solution. You can build your team, level up, earn badges and become a FIRETEAM expert. You can show-off your skills and abilities, publish your FIRESTREAM and earn revenue. "Our products are focused on creating opportunities for our communities and value for your customers," said Andrew Finberg, CIO, Infusion AI. "One great example and one of my favorite products is FIREBRIDGE CRM. This is great for support organizations to reduce your customer case inflow, improve outflow and improve overall case metrics. Our API provides instant automated problem/resolution responses, resolutions steps and root cause descriptions right through the API for applications such as Salesforce and SAP SRM." Infusion AI is an emerging solution provider that makes human augmented learning solutions and knowledge network SAAS solutions. The company was founded in 2018 in North Carolina and is launching FIRETEAMS in November 2018.